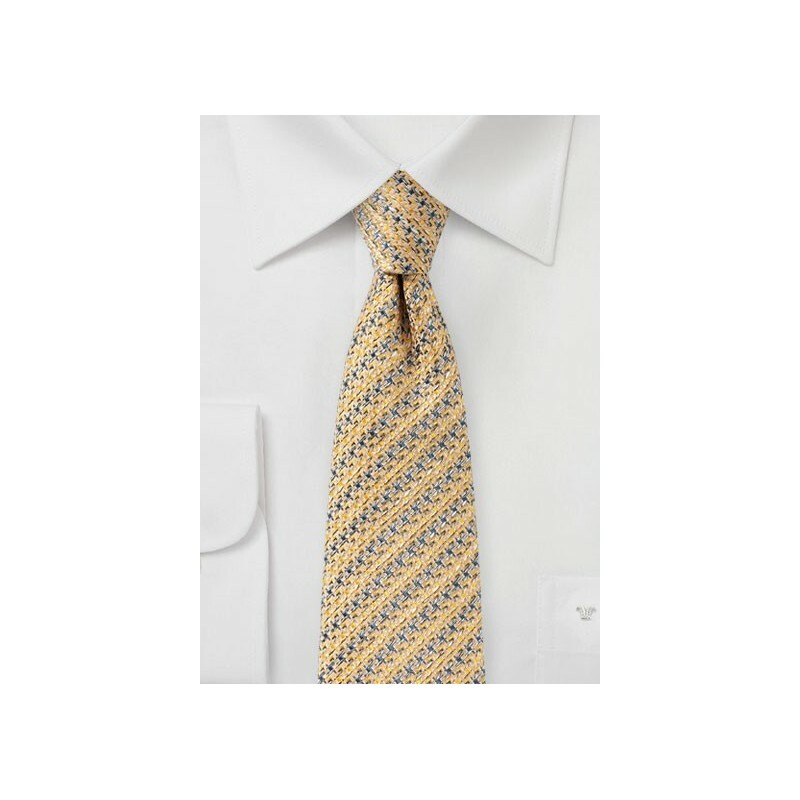 This Golden Cream Designer Houndstooth Check Tie is a sight to behold. It has a detailed matte woven texture to it, and with four different colors woven in (gold, yellow, navy, and white), it is destined to stand out no matter what color you wear it with. 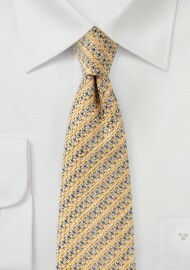 This is part of a slimmer collection of ties, new from Blackbird Refined Men's Neckwear. It's also made from 100% recycled yarn, making it the perfect option for any eco-conscious wearer.